Work out what you want to say and be clear about what happened, who was involved, when, where, why you weren’t happy. Complain as soon as you can. If you can speak to the people involved first, they may be able to sort out your problem quickly. Contact the service you want to complain about. Contacting the service directly will make them aware of the complaint. Ask about the service’s complaints procedure. You may need to complain verbally or in writing. Ask if there is a form to fill in and when you can expect to hear back from them. If you need assistance to make a complaint, Complaints Advocacy services may be able to help. Keep your complaint clear and short so your main points stand out. Include your address and a reference number if you have one. Also include the date of anything that happened which is important to your complaint. Write down people’s names and positions. Also keep copies of any letters or emails you get, as you may need to refer to them in the future. Find out more in the attachments below. You can also find useful information on the Parliamentary and Health Service Ombudsman website. Individuals with a stoma have had their bowel diverted through their abdomen so that bodily waste can pass into a stoma bag. This may be due to illnesses such as cancer, Crohn’s disease or following a trauma to the abdomen. Each year, the NHS carries out around 6,400 permanent colostomies. It is estimated that one in 500 people in the UK are affected. If you are one of these people – either pre-op, post-op or perhaps caring for a patient, then the Colostomy Association is here to help and support you. There are lots of ways to get in touch with us. We run a 24-hour helpline (0800 3284257). We have a closed Facebook Group, where people with stomas from across the country can speak to one another. Our Website (www.colostomyassociation.org.uk) is packed with useful information including free access to all the booklets and leaflets that we produce. It is here that you can also find details of support groups up and down the country. So if you are about to have stoma surgery or are adjusting to life afterwards, remember that the Colostomy Association is here for you. Over 100 Harrow services, including counselling/therapy, specialist NHS services, minority ethnic community organisations, support for carers, benefits & housing and self-help groups. 26 Harrow factsheets on topics such as schizophrenia, sleeping problems, self-harm and depression. Plus a downloadable listing of all NHS and charity sector counselling services in Harrow free or low costs. The programme has almost 120,000 patients with diabetes and is the largest programme in London. 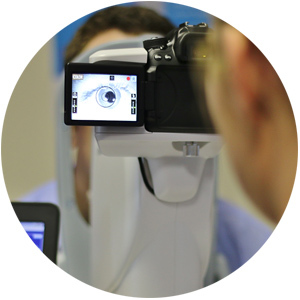 The programme engages a large team of 28 qualified screeners & a small number of community optometrists who are contracted to assist. For more information please see website http://www.nwldesp.co.uk/. Please also see information leaflet below. Please click below for the 2016 Harrow Health Profile published as an official statistic, which is a snapshot of health and wellbeing forHarrow. How can the internet help you stay healthy? People are increasingly turning to online tools to help take greater control of their own health and care. Here we share some of the resources that people are using to find the information they need. There are a number of ways that the internet can help support your health and wellbeing. If you have an existing condition you would like to know more about, have some symptoms you are concerned about, or would like to book an appointment online, here are some resources that can help you do just that, as promoted by the Be Online campaign. The NHS Choices website provides comprehensive health information to help you make the best choices about your health and lifestyle. The Learn My Way ‘Staying healthy with NHS Choices’ online course will show you how you can make the most of this website. The Learn My Way ‘Being healthy’ pages have links to a range of digital resources to help you do anything from finding cancer support, to advice on looking after your mental health. If you are feeling a bit unwell, or have some something you are concerned about, the NHS symptoms checker allows you to check your symptoms and get advice. Sometimes there is no substitute for seeing a health professional in person. The service search on NHS Choices is a great way to find, choose and compare health, support and social care services in England. Most GPs will have a website and offer some services, such as booking appointments online. You can find out more about online GP services with the Learn My Way online course. Learn more about about these and other internet resources you can use to support your health. Although most people have no problems when using health or social care services, sometimes things can go wrong. This leaflet explains what to do if you, a member of your family or someone acting on your behalf wants to complain about care or treatment that you have received. For many, the thought of making a complaint can be daunting, but care services should welcome the opportunity to respond to your concerns and try to put things right. Please see click link below for further information leaflet. Welcome to our newsletter. A round-up of health and social care news, events and consultations in Harrow and beyond. Healthwatch Harrow is recruiting volunteers who are confident, knowledgeable, enthusiastic and willing to take things that much further, making a real difference to those who receive inadequate care or support. If you are this person, then we would like to hear from you for this exciting opportunity. Please note that this is an unpaid role. Article from NHS Health News - "Parents need to drink less in front of their kids"